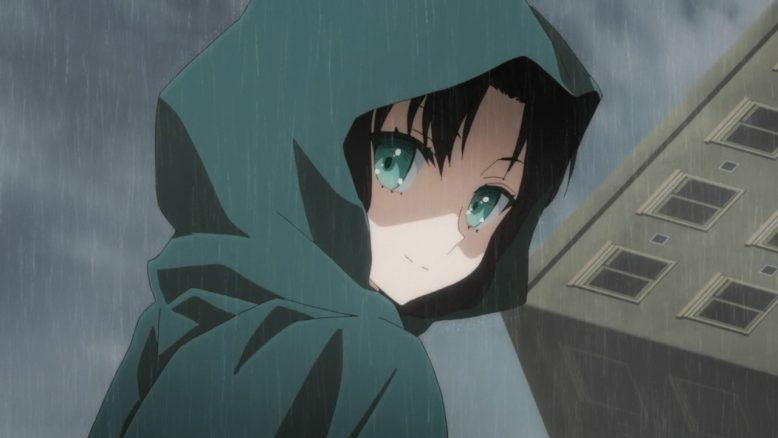 Another good episode that not only delved into Saber’s backstory, but also revealed the story of the girl we saw in the first episode. 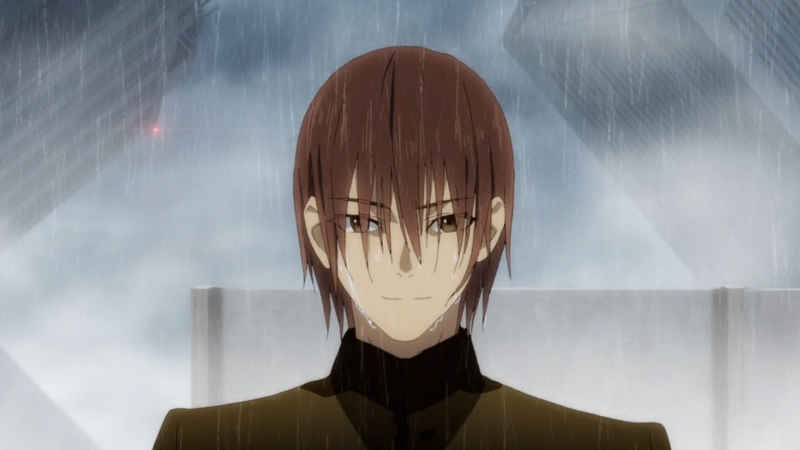 A pretty strong episode that showed what happened in the past, but how Hakuno will carry forward into the future. It stuck to the pattern the show has stuck with to this point which works fine by me. I enjoyed the two fights we got to see. It was great to finally get to see Saber’s noble phantasm at work. It wasn’t a long fight, but in a sense it wasn’t likely to be one. The nature of Saber’s noble phantasm was one that left her at a complete advantage over the berserker Li Shuwen. One benefit from this episode is that I don’t have to stick with calling her Saber going forward. That was the kind of spoiler that was in some ways hard to avoid out of habit. It’s been years since I first played the Fate/Extra game on the PSP so I’ve known for that long that this Saber is Nero Claudius. As one would expect another gender flipped historical figure. It isn’t one that bothers me since I hardly have a strong connection to the classic Roman Emperors. If the Fate universe wants to say one or two of them were actually women it isn’t going to throw me off. I honestly find their version of Nero an interesting one to look at. It’s a fair point to note that history can’t always be trusted. The people who wrote the sources that we rely on can have their own bias. Those biases can be subconscious ones or intentional. In the case of the Fate version of Nero it makes sense. This Nero clashed pretty hard with those in power and frankly those that would end up determining what is remembered as history. They removed Nero from power by force. Those aren’t exactly people who are going to care about telling Nero’s side of the story. Not that Nero herself considers her life and reign flawless. And in some ways it makes sense for history to remember Nero as male. If you already dislike a historical figure why not throw an extra insult by falsifying their gender? Regardless, I did enjoy the kind of flashback sequence we got. A lot more interesting than just being shown what happened and pretend Hakuno was being verbally told the story. In this case we got to meet the female Hakuno (let’s go with the recognized nickname of Hakunon) and got to see her journey. In a sense it happened in a flash, but we got to see how she handled various difficulties. Hakunon was effectively an NPC made in the likeness of a person who actually lived in the past. While that was a terrible discovery, I did like how expressive she was about how shocking that was. I also appreciated how Nero didn’t let that bother her at all. And honestly that response makes sense. 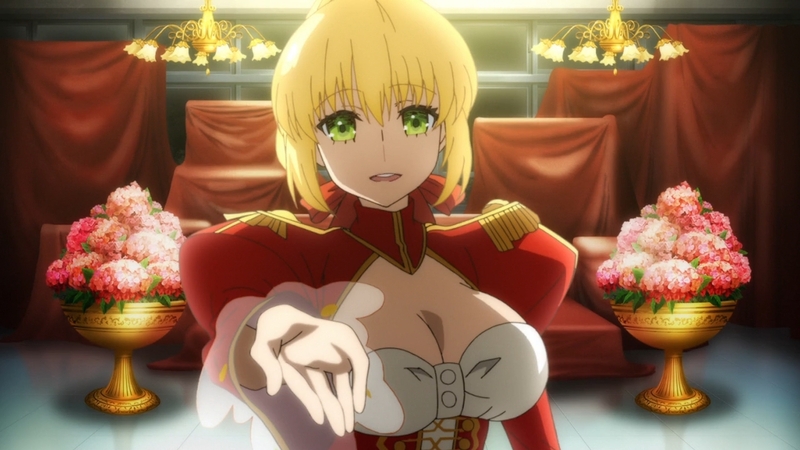 Nero herself isn’t human anymore. You get the feel for the kind of journey that Hakunon went on from her reactions. Over time she grew, matured, and started to find herself. A nice emotional scene with Nero and Hakunon as Nero delved into her past. Understandably someone with such a ‘bad reputation’ in history would be hesitant and nervous to lay out just what kind of backstory she had. Even though hiding the truth and avoiding revealing her noble phantasm would only make things more difficult in the actual battles. In the end I just like how Hakunon’s discussion with Hakuno was more about Nero herself. 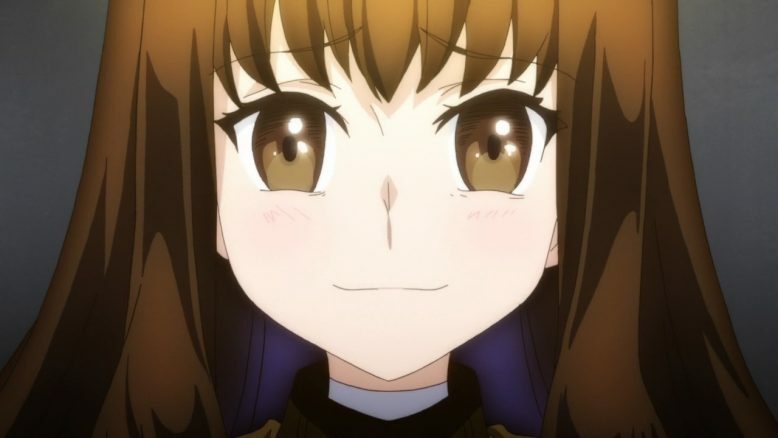 While it was partially about giving Hakuno a push to keep going, you can tell she truly cared about her servant. If Hakuno is the one who can currently stand by her, then a push to make sure he fulfills that was a necessary move. There were some interesting moments from Rani still being around to Rin deciding to go beyond her original plan. Whether Rani left a copy of herself on that lower floor to help guide individuals forward or if she did somehow escape the destruction of the forest I’m not sure. What is clear though is that Rani and Rin have been working together with the objective to get a legitimate master to that floor above them. Luckily Rin wants to keep on trucking along so we might get to find out just why they’ve been seeking a master for this job. I’m also kind of curious why they only want someone to make it to the next floor and not just go beyond that. It was a kind of cute scene though to see them hanging back while Nero and Hakuno had their discussion. I really do just love the over the top nature of Nero. It doesn’t matter to her what Hakuno technically is. 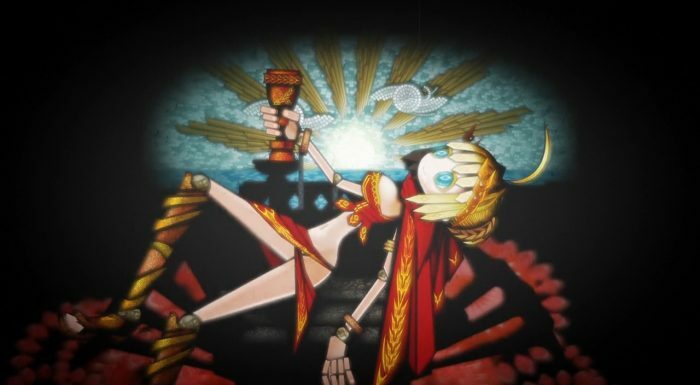 In the end Nero herself has been dead for thousands of years. She’s hardly letting that drag her down XD. The positive perspective she brings is something that Hakuno needs and something I can get behind. Hakuno isn’t just an imitation and he’s more than just a patchwork of corpses. 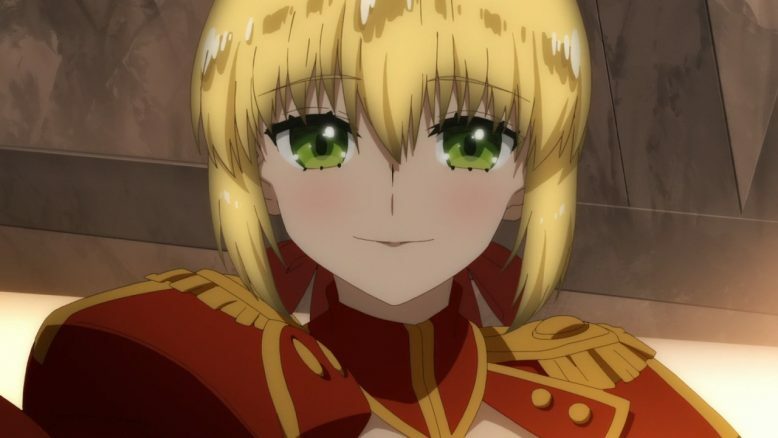 As far as Nero is concerned he is someone with the same heart and soul as the Master she had before. He is a different person, but the heart within the two of them is the same. And Hakuno is truly more than just that bundle of hatred. He’s found a desire that is his own to carry hope to the sky. There is still a reason to keep pressing on and a reason to overcome what trials remain. Now what we have to see is how things will unfold with what time is left. There are clearly trials yet ahead of them. Not just the next floor master, but beyond him. If they can’t overcome what we saw strike down Saber in the first episode then there isn’t much hope remaining. They’ll have to prove Julius wrong about the dead not being able to change anything. This was a pretty good episode as a whole though. I enjoyed how they presented Nero’s past and how she and Hakuno worked things out by the end. They are on the same page going forward.